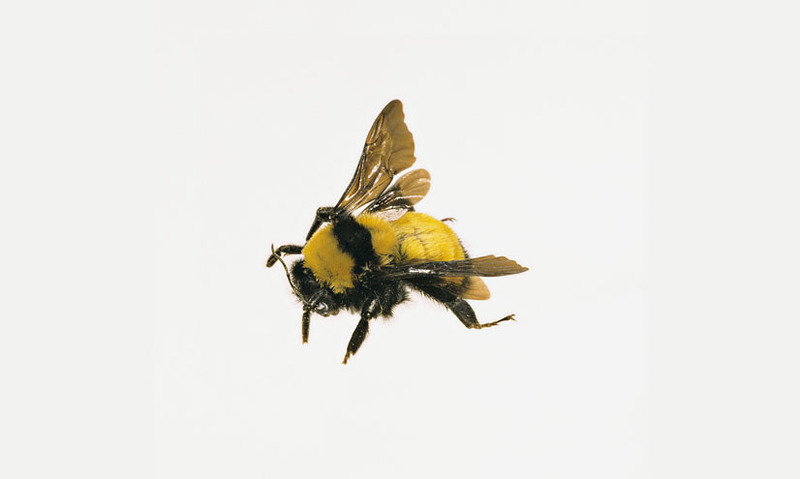 Why do bees fly in straight lines, and why does man now copy nature? Bees always choose the shortest possible route to reach a source of nectar. But how do bees do this? Scientists used small transmitters to track bees' flight patterns. 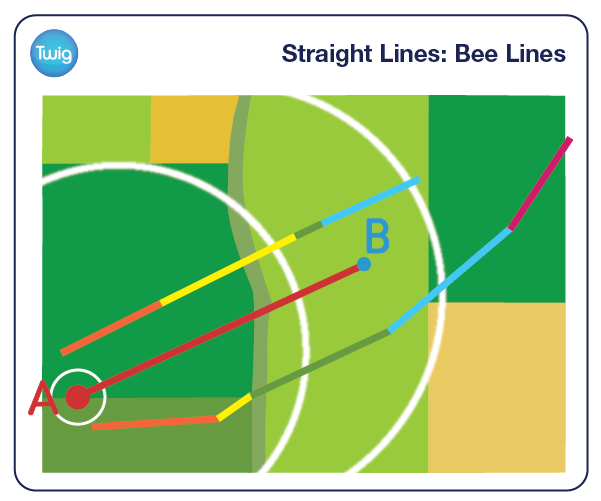 They proved bees will always travel in straight lines, taking the shortest and most direct route possible. This minimises energy use while collecting pollen. And a straight line is always the shortest distance between two points. Travelling from A to B through any point not on this line will always be longer, because the sum of the new lines will always be greater than the length of A-B. This is true whether the points are in two-dimensional or three-dimensional space. Tunnels are built through mountains so that journeys aren't extended by having to go around them. Bridges are built across rivers to provide straight paths for transport. So just like bees, mankind also takes the shortest possible route where possible.